Stephen King’s opus “11 / 22 / 63” is a novel based around the ‘what if’ scenario of John F Kennedy’s assassination. Two characters use the term ‘watershed’ moment describing significant events in history – well “11/ 22 / 63” is what we at Shots eZine describe as a ‘watershed” novel, a novel so breathtaking in scope and execution that it sets a new standard in the ‘time-travel’ subgenre. Though I should clearly point out that time-travel element, is really only a ‘motif’ because this magnificent novel is really about love, loss and the consequences of ones actions and inactions. It is a huge book in terms of size, weighing in over 900 pages, or over 30 hours in unabridged audio though I must make clear that if you pardon the pun, time flies while you read it and wish it would never end, such is the appeal of the narrative and the questions it poses to the reader. As some background click here for King talking about writing 11/22/63 and click here for the book video. “11 / 22 / 63” is a novel that that further cements Stephen King’s reputation as one of the greatest living writers, in any genre. It was thanks to Hodder and Stoughton, King’s long time UK publisher Hodder and Stoughton that Shots Editors Mike Stotter and I met him when he last came to the UK in 2006. Stephen King’s editor at Hodder and Stoughton is the remarkable Philippa Pride, who teaches writing at The Book Doctor, and who King describes as 'I have worked with Pride for upwards of twenty years, and know of no one in the writing and publishing business who is better equipped to talk about and teach the art and craft of writing'. So Shots were delighted when Kerry Hood of Hodder and Stoughton organized an interview with Phillipa to give an insight to our readers into working with The King. Philippa, how long have you worked with Stephen King, and how did your relationship start with King at Hodder and Stoughton commence? My first job at Hodder was in 1986, working for the Marketing Director at a time when he was producing presenters, adverts and other marketing material for Misery. This included a sensational cardboard display mount of a typewriter, in which the hardcover edition of Misery sat. Misery was the first Stephen King book I read – what a wonderful introduction to the world of Stephen King. In 1987, I began working for Nick Sayers, Hodder’s wonderful fiction publisher, then Stephen King’s hardback editor, responsible for publishing The Tommyknockers, The Dark Half, Four Past Midnight and Needful Things. In my role as Nick’s secretary/editorial assistant, I typed up his letters to the author and agent, his memos about King’s books to the different departments in Hodder and helped to prepare the front pages (prelims). It was a brilliant apprenticeship and gradually I was invited to start reading King’s manuscripts, to write copy (such as Catalogue Copy and Advance Title Information Sheets, used by our Sales team to pitch to the trade) and to collate and filter the corrections and queries raised by the proof readers. I shall always remember my first conversation with Stephen King. I had to run through some proof reading queries with him on the telephone; I was working from the British page numbers, and he had the American page numbers for reference. Speaking to an author of this stature was a big deal for me but he put me at my ease with some jokes about the English weather and made me feel that my queries were extremely helpful and valid. It was easy to champion such a lovely guy at Hodder. I became a junior editor on King’s book by the time we published Needful Things, reporting to Bill Massey (Bill had taken over as King’s hardback publisher when Nick moved to our Paperback division). When Bill left in 1993, I became Steve’s full editor for Dolores Claiborne, which deservedly earned some of his best reviews. Steve told the Hodder MD that I was doing a great job and I got the gig. It was of course one of the highlights in my career, not least because Stephen King is genuinely my favourite writer of all time. In 2004, I trained to become a certified Life Coach and I set up my own business as The Book Doctor ® which I run alongside my role as Stephen King’s editor for Hodder. I feel privileged to continue working with the author Lee Child describes as ‘America’s greatest living novelist’ and for such a fantastic publishing company. Can you tell us a little about the Bachman books? 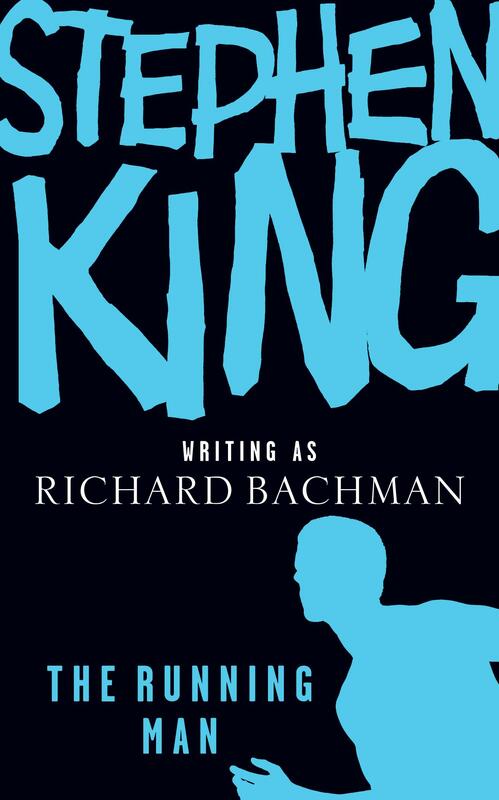 Stephen King wrote four books originally under the pseudonym Richard Bachman. He even created a personality, history and author photograph to go with the bogus author. 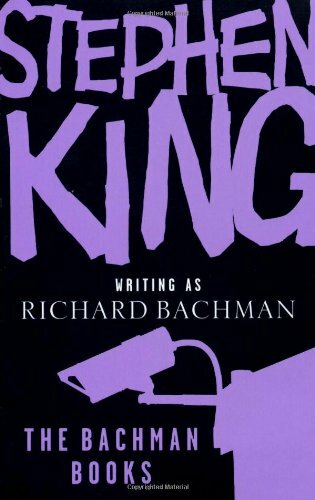 According to Stephen King’s introduction to the collection, The Bachman Books, readers linked his identity to the books first because they were dedicated to people associated with his life and secondly, because there were clues on the copyright page. How was his ‘cover blown’? I wasn’t involved in publishing the early Bachman books but in 1996 we published two simultaneous hardcovers, described as unidentical twins: Desperation by Stephen King and The Regulators by the late Richard Bachman. The concept was that Bachman’s widow discovered an unpublished manuscript in the cellar. The reissues all now read STEPHEN KING writing as RICHARD BACHMAN. And something of your own background - how did you got involved in publishing? I was a bit of a bookworm and I was torn between reading English and History of Art and Architecture at university. I interviewed for a job at Hodder (which was then in a gorgeous Georgian building in the heart of Bloomsbury) in the publicity department; this was an excellent introduction to the world of publishing, figuratively nestled between our sales team and the reader/consumer. I wanted to become an editor and the following year I applied for a position as secretary /assistant for an editorial director on a range of non-fiction (sports biographies) and fiction (Stephen King, Keith Waterhouse and Campbell Armstrong). Later I was promoted to editor and then fiction publisher, before branching out in my new role. 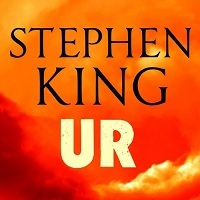 Do you engage with Stephen King’s US editor? I enjoy liaising with Steve’s talented editor Nan Graham and the helpful team at Scribner; we share our respective visions and marketing strategies for publishing Stephen King’s new books and we pool our copy-editing and proof-reading catches, to the benefit of the author’s books both sides of the Atlantic. Are there any changes between Scribner’s US editions of his work to the UK editions from Hodder & Stoughton? There are no structural changes between the US and UK editions of Stephen King’s books. As Stephen King is the quintessential American writer who often uses dialect in dialogue, it makes sense to keep American spellings throughout the book (I have a copy of Webster’s dictionary on my desk). We adapt some punctuation to our housestyle eg single inverted commas rather than the American double inverted commas. We also sometimes (with permission from the author) ‘translate’ words that don’t travel or have a different meaning in the UK such as ‘dresser’ (dresser means chest of drawers in North America rather than kitchen/Welsh dresser as in the UK). However, since I first began working on Steve’s books, thanks perhaps to the increased amount of American drama on British TV, the British readers’ understanding of the American vocabulary – for example purse meaning handbag (where clear in context) or sidewalk meaning pavement - has improved. Apart from the editorial work on Stephen King, do have other tasks at Hodder and Stoughton, or with King; such as cover design, marketing or do you work purely on the editorial side? The editor’s role is that of a champion and manager, overseeing every aspect of publication from acquisition to ongoing book sales. The vision for any book and the strategy for publishing starts with us. In many ways, we are the central cog in a wheel, spokes from which run to and from the author, agent, sales (home and export), rights, art, marketing, contracts, royalties, publicity. There’s a huge team of talented people working on Stephen King’s books at Hodder – every one of them, like me, delighted to promote such an amazing writer and lovely man. As Steve’s editor, I’m responsible for co- ordinating our publishing plans on each new book which contains our objectives, publishing strategy, intended retail promotions and our consumer campaign. And so the author isn’t overwhelmed, all material requiring author approval comes through me. I also liaise with his super assistant, about our website plans for example. With Stephen King, my quest is to make sure that I pitch and brief his new books effectively to all members of the Hodder team and to keep them informed on developments and fully equipped with what they need to sell and market the book in all appropriate territories. My quest is always to invite new readers to come on board with each new book. Stephen King has his loyal Constant Reader and each book has potential to reach a fresh audience beyond: our challenge is to find a way how, and the ideas (inspired by King’s wonderful novels themselves) start with me. Writing copy for our Sales Conference and for the Sales Team to present the book to stores – and for 11.22.63 I did an extra pitch to the Sales Marketing teams which I later wrote up as a blog. Working with Marketing on a publishing plan on both sell-in material to the retailer and ideas for attracting the reader/consumer – I was involved in the Hodder trailer from copy stage, suggested looking at trivia cards for the 50s which we’ve adapted into our Facebook campaign, sent books out fo quotes from fellow writers. A live event (reading and Q&A in Battersea Park, similar to the one for Bag of Bones at the Royal Festival Hall); a celebratory party at Middle Temple Hall (for reviewers such as you , booksellers, fellow authors and the team at Hodder); TV (including a wonderful interview with Mark Lawson for Mark Lawson talks to …); radio (including BBC Radio 4’s ‘Desert Island Discs’); print interviews (such as Matt Thorne’s in The Independent) and book store events. 3 of us were rooting for ‘Desert Island Discs’ because Steve’s books are so rich in musical references that it seemed the ideal forum; it was such a captivating interview that they even advertised it on TV. Kerry Hood, Steve’s fabulous publicist, was at the helm and she did an enormous amount of work finding and booking the venues (and together with Marketing kitting them out), organizing the bookstore events with our Sales team and juggling all her media interviews. Kerry and I both went to the events so I could see a little bit of Stephen King as he isn’t over very often; it was so exciting sitting in the Green Room for ‘Desert Island Discs’ and fascinating for an editor to have a small glimpse of what goes on backstage in the world of PR. In the years you have worked with King, have you any amusing anecdote[s] you’d care to share with us? All his readers will know just how witty Steve is as a writer; he has a humorous turn of word in emails and in person too. I particularly enjoy his observation of the British customs and language – he calls me his ‘slang guru’ and he picks up on words like ‘brilliant’, ‘chuffed’ and ‘JOHN COLLIER THE WINDOW TO WATCH’. When he was doing a signing in London he noticed how everyone in the City ‘worked just around the corner’ (which he repeated with a slightly sinister spin, like the beginning of a short story) and suggested that the people sitting dangerously still at Old Trafford waiting for the cricket match were left over from the previous match. One specific incident that made me chuckle was discovering a book plate signed Stepford Wives – the handwritten letters look remarkably similar to Stephen King. Stephen King explained in his afterward on ‘Lisey’s Story’ how involved his editors were on the manuscript, so can you tell us a little about the process in getting his manuscript[s] readied for UK Publication? In my first reading of the revised script, I make notes to myself on each chapter, jot down any queries and any song titles/lyrics. It’s customary in publishing for American authors to receive notes from their American publishers (and sometimes agents) and for British authors to be edited by their British editors (have a look at Steve’s acknowledgement pages). It wouldn’t do for Stephen King’s editors in every territory to wield a pencil but Steve and his agent do sometimes invite me to give feedback and any changes those notes might inspire will be incorporated in all editions of the book. I have established a routine with Nan’s helpful assistants at Scribner whereby they send us first the American copy-edited / author-corrected script, and then their typeset galleys. When the galleys arrive, I send them out with a clear brief to a copy-editor, asking her to make a note of any inconsistencies, query any words that may not make sense to a British reader and change the punctuation (except US spellings) to the Hodder housestyle. I sift through her queries and send the important ones to Scribner to collate with their own proof reading queries. I also mark up the galleys for special headings, artwork and special typefaces (you’ll have noticed handwritten symbols and drawings – usually the author’s own - special fonts for newspapers, signs, handwritten notes and so forth), prepare the prelims (the front pages of a book) and adverts before passing it to our Production Department. My colleague in Production and I agree a style and font for our edition; she carefully works out the page extent and a schedule for page proofs (which I send to the author for his approval). In 11.22.63 you will notice the inclusion of photographic illustrations on the title page and each part title; we followed Scribner’s design here (clearing the artwork separately) but used our own cover illustration for the title page and our own newspaper heading for the final part title. King has been an e-Book pioneer, with THE PLANT, RIDING THE BULLET, UR, MILE-81 – so are you involved in editing these electronic works? Stephen King is wonderfully inventive, isn’t he? He himself first published The Plant and Riding the Bullet online and we published UR as an audio digital download and MILE 81 as an eBook original. At Hodder, we have a department which is responsible for adapting our digital text editions from the final corrected text. We have converted and made available most of King’s back catalogue for electronic text download and we are producing both an eBook and an enhanced eBook of 11.22.63 simultaneously with the hardcover. In our enhanced eBook we are including two short films at the beginning a book trailer we produced at Hodder and at the end a ‘featurette’ produced by Scribner which is a 13-minute film, written and narrated by Stephen King and enhanced with historical footage from CBS News which will take you back to Kennedy-era America. What are your own thoughts on the changing face of publishing thanks to the troubled economy and the relentless advance of technology? I am not an expert on changes in technology, though I think publishers are paying heed to what happened in the record industry. I hope that it will be possible for physical books to continue to co-exist alongside digital text editions as I don’t see why they should be mutually exclusive. I enjoyed Stephen Fry’s comments about this on Fry’s Planet Word. Most devices will soon be adapted for enhancements such as films and will also have the ability to switch between text and audio (which I love) and yet millions of people still find that beautifully produced books (such as our 11.22.63 hardcover, with its stunning cover, beautiful endpapers and illustrated part-titles) enhance their reading experience and provide excellent book furniture (rather like the old vinyl’s). When aspiring writers come on my courses their dream is still to leave a legacy on a bookshelf, not in a cloud! But at the end of the day, a book is a book whatever the medium and publishers provide vital quality control and marketing expertise; I support anything that promotes reading. When King was seriously injured after the car accident [June 19th, 1999], can you tell us the background in relation to his penning Duma Key in 2008? In 1999, Stephen King was walking in Maine, when he was nearly killed by a van. His right hip was fractured, his leg was shattered and one of his lungs collapsed. Many surgeries were required to save his life and mend his broken body. In the last section of his brilliant book ON WRITING: A Memoir of the Craft, he tells the story of the accident, with all the narrative tension of fiction. The following year, the unforgiving freeze in Maine and the extra physical pain that caused him post injury, inspired Steve and his wife Tabby to spend their winters in Florida. It was here by the coast, fringed with thick palms and rhododendrons, that he saw a sign: CAUTION: CHILDREN, and suddenly imagined little twin dead girls holding hands. The image stayed with him for five years until the right story came up. Only when King was really familiar with the geographical and social landscape of Florida did he set a book there; he recommends writing about what you know, places you understand and people the reader will care about. In Duma Key, Edgar moves to Florida where he rediscovers a talent for painting. King was interested in exploring how creativity can help in the road out of pain, misery and unhappiness; when he was writing Lisey’s Story, Steve himself had started to feel better. And what was the time [after his accident] like for you, and his publishing colleagues? I’m sure you can imagine how awful it was: the office was shocked, wishing and willing him recovery, concerned for his loved ones. The whole team at Hodder rallied; I was in touch with his office in Maine to see how we could help and I was asked, temporarily, to make the day to day decisions on Steve’s books at Hodder. We were touched by the phenomenal amount of get-well wishes and cards we were asked to forward from his friends and fans around the world. It confirmed what we already knew: Stephen King is clearly not only a bestselling author but a truly well-loved man. 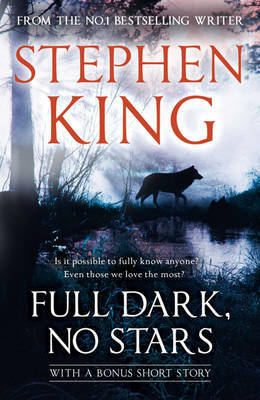 Would you agree with me that King has renewed vigour in his most recent work, some of which has an echo to when he started, such as the terrifying novellas in FULL DARK, NO STARS, UR, UNDER THE DOME and 11 / 22 / 63? I agree that King’s recent work has zest and vigour – but I feel that about every book he has written.’m captivated by each new book and enjoy the range and diversity of his entire work. 11.22.63 explores the culture of the Kennedy era and weaves it into a devastating exercise in escalatingsuspense as his lead character tries to stop JFK’s assassination. I blogged about it here at the Hodder and Stoughton Website. All King’s books draw you in and are impossible to put down – they are classics in his own lifetime. Interestingly, there are still readers who are surprised to discover that Stephen King wrote the stories of their favourite films The Shawshank Redemption, The Green Mile, Stand by Me and Misery. When they make the connection, they often come to us to ask which King they should read first. Other readers say they enjoyed his ‘horror’ stories in their teens and are ready to be reacquainted with the amazing range and literary power of his work. And then of course there is a new generation of readers who will grow up reading Stephen King. So, we are in the middle of a 2-year reissue programme, in which we are grouping his books into 9 distinct categories, with the intention of helping the reader to find which King titles are most suited to them. So tell us a little about 11 / 22 / 63 in terms of your work with King on this epic novel, and did Hodder and Stoughton consider re-titling it 22 / 11 / 63 to conform to our date nomenclature? 11.22.63, November 22nd, 1963, is the day that JFK was shot. King’s novel is a sensational time-travel story in which his protagonist goes back in time to stop the assassination. I read over a thousand manuscript pages almost in a sitting and it’s the sort of rare book you remember where you were when you read it. It combines the best of King’s epics and intimate suspense and it’s also a wonderful exploration of the culture of Kennedy-era America. I could not wait to fire off an email to the author to say that it was the best WHAT IF? novel I had ever read. What if you could go back and change a moment in history? What if the moment you could change was JFK’s assassination? Accompanied by visuals of JKF and Jackie in the motorcade and a poster rom the 50s advertising Winston cigarettes. The team was on board. The book was a gift for delighting King’s Constant Reader and also winning a brand new reader, including the reader who enjoys historical fiction. The response I was getting was phenomenal. 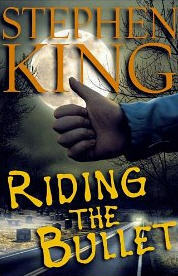 My work with Stephen King on this epic novel included keeping him informed/seeking his permission on all our publications plans from how were were positioning and pitching the book (eg I shared with him the lovely quotes I received from the co-writers and co-creators of Life on Mars and Ashes to Ashes), through cover image concept, jacket copy to marketing materials for the sell-in (such as our trailer, samplers, proofs and extracts) and consumer campaign (such as posters in South Africa, UK, a television trailer in New Zealand). And I shall continue to keep him posted on its performacne and any exciting mentions in all territories as we pass publication. Steve is a wonderful author to work with - he's fantastic at responding to emails and marvellous at giving us an insightful steer when we ask. We did have lots of discussion about the title and whether it should be 11.22.63 or 22.11.63 (for which author and agent would have granted permission). Eagle-eyed fans might note that there is a slight difference between the Scribner and Hodder covers: we changed from slashes to full stops when our Art Director came up with the digital type for the title on the cover (which King loves). In the end, we concluded that the British and Europeans do refer to the more recent awful event as 9/11 and therefore best to keep to the American sequence for any major date in American history. It was also simpler, with bibliographic data feeds that go out worldwide, to keep them the same. At what stage is Dr Sleep, King’s sequel to The Shining at? And can you tell us anything about what King has in store for Danny Torrance? Fans will remember the poll on King’s official website last year inviting visitors to vote for him to write either a new Dark Tower novel or Dr Sleep. I’m delighted to confirm that we are publishing The Wind Through the Keyhole: A Dark Tower Novel in April, 2012 and that Steve is currently writing a new book related to The Shining ie Dr Sleep. In September this year, he received the Mason Award in Virginia, where he read out a short excerpt from Dr Sleep but I understand the book is a way off completion yet. The other exciting news for next April is that Misery has been selected for one of the 25 titles to be given away at World Book Night. And finally that difficult question, which of King’s work has given you professionally the greatest pleasure and why? I tend to fall in love with each new book but my short list would include 11.22.63 and Dolores Claiborne for the separate reasons cited above; Bag of Bones and Lisey’s Story because they were the titles Steve came over to promote; Duma Key because Steve praised my editing suggestions; Insomnia because I have a fax on my wall featuring my typed jacket blurb and above it Steve’s handwritten ‘tres bien’. BUT if I could take only one of his books with me to my desert island it would be On Writing: A Memoir of the Craft. It’s as close to an autobiography as we have and I find it illuminates his novels. His tips on writing are also terrific – I refer to the book again and again when I’m wearing my other hat running The Book Doctor writing courses (www.thebookdoctor.co.uk) because it gives such sound and inspirational advice to aspiring writers. My pleasure and thanks for your interest.